**Please note: contains story of baby loss, published with permission. In my service to the world, I sometimes get called to the honorable place of working with families that have lost their babies all too soon. It is a blessing to be able to bridge a gap between the physical and spiritual worlds for those who are experiencing such a tremendous sense of loss. I don’t have all the answers and I can’t make the grief go away, but I can offer a special gift. Spirit to spirit communication is what I do, and it can show up in many forms – pictures as metaphors, sounds, smells, stories, and more. These sessions for families that have experienced baby loss, like all that I offer, bring in higher-self information from each person’s spiritual perspective about the journey that has unfolded. Recently, I had the honor of working with baby Jack and his mama. Their session had many beautiful aspects to weave together their tapestry of life and spiritual connection. One portion of the reading brought me deeply into the center of my heart space and tears to my eyes. Jack’s mother was telling me about when his beautiful body was first born into the world. As she offered the the story, I was clairvoyantly observing what was happening between body and spirit through what she wanted to express outloud. As I was watching, Jack showed me an image of himself as a spirit, at the moment in time she was referring to, saying these exact same words to her. Essentially, through her. He wanted me to make his mother aware that those words she was saying aloud to him, that she felt so strongly, were also meant for her to hear. To know about herself. People often marvel over the pregnancy and birth process and how a mother is a magical vessel used to bring spirit into physical form. Mystics may call it a channeling of spirit through oneself. Jack’s story brings forth the idea that even when the physical journey ends, there is still a strong connection between mother and child. Their physical bodies had separated, yet their spirits will always be connected. He showed how he could still channel his essence into the world to give her, and their entire family, a message of continued support, love and togetherness. Even though his physical journey was short, and the pain of that can not be taken away completely, I can still see Jack’s bright light shining and helping his family to heal and grow; in turn, inspiring them to spread their roots to help the world. He is proud of them. 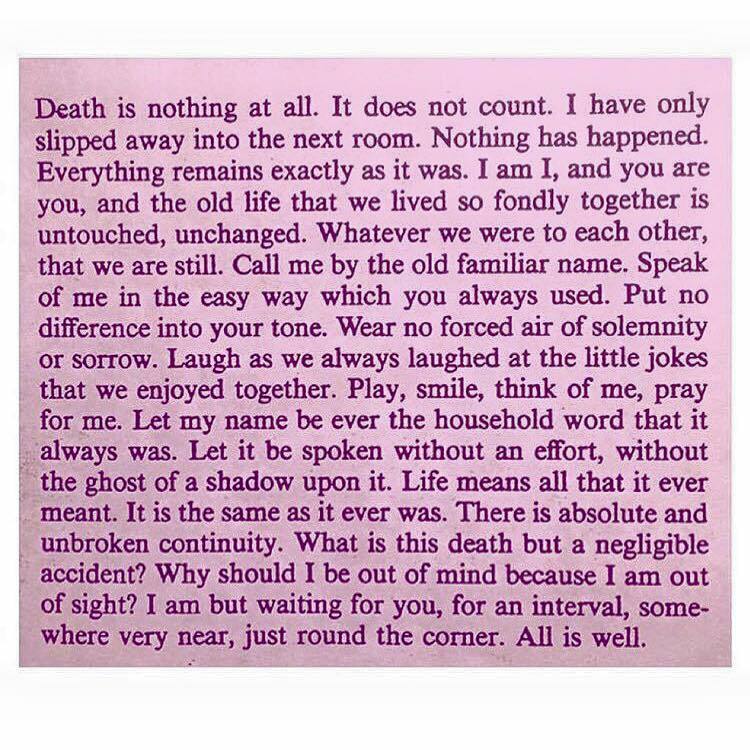 This post, and message from Jack, offers a gentle reminder for anyone that has lost a loved one. You can close your eyes and listen, think, speak, feel — in ease and trust — and there will be a message waiting. When you open your awareness in this way, physical signs may also appear in the most unexpected, yet validating, ways. All are affirmations of love and continued connection. This entry was posted in Everyday Miracles and tagged baby loss, connection, Love, spirit, spirit to spirit communication. Bookmark the permalink. It’s been a very long week. My two-year old son has been sick. It started with a 103+ degree fever that left him lethargic, turned into an upper respiratory cold and ear infection that made him hyper-emotional and all-around uncomfortable in his body. The primary thing that settled him all week was laying cuddled in bed with his neck propped at just the right angle in the crook of my elbow. Of course there were plenty of times where I was jumping up and down trying to find the right remedy to calm the coughing or to appease his endless requests for juice, something to eat, a different kind of juice, something else to eat (because of course nothing tasted good), etc. etc. I’m sure all parents know the kind of week that I am talking about. Exhausting and heartbreaking. When I was pregnant with my first born, I not only expanded (and we’re talking some major stretching) in the physical sense, but also took immense steps in my spiritual growth. Throughout my twenties I experienced tons of body aches, pains and illnesses. I often referred to myself as an 80-year old in a 25-year old body, and friends and family were always shocked with all my crazy diagnosis’. Occasionally, the thought of kids would come up, and my partner at the time would reflect that I couldn’t make it being pregnant because my body was so weak. And I believed him. It’s amazing to me, when I look back now, how I readily bought into this picture of lack in health, and how often times my spirit wasn’t in my body in order to deal with all the pain. When I started to take steps down my current path, beginning to meditate and release untruths through my clairvoyant training, I went through some major shifts in my body as I let go of this false definition of myself. It wasn’t easy, let me tell you, but I slowly came to a place where I was feeling healthy and energized. I had just turned 30 and had a sense of freedom from my old self. Then, just as I was starting to understand that you get exactly what you need to go further in your healing, I found out I was pregnant. This entry was posted in Uncategorized and tagged healthy pregnancy, meditation, pregnancy, spiritual parenting. Bookmark the permalink.